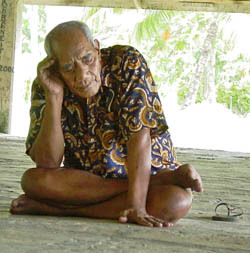 As the Rural Development Financial Expert in a Nimmo-Bell team of five persons, Jock Struthers contributed to the needs assessment of the outer island communities under an ADB PPTA (Project Identification & Preparation) assignment. 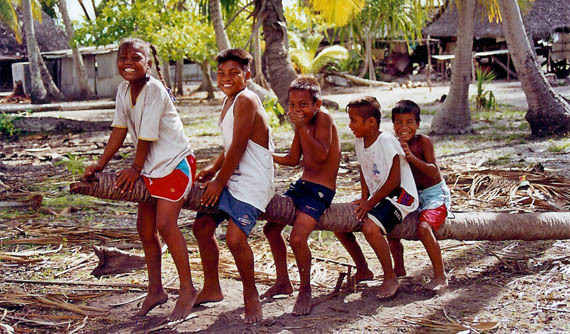 The team recommended the establishment of a sustainable AU $35 million trust fund, similar to the Tuvalu Falekaupule Fund, to which the Kiribati Government, the Asian Development Bank and island communities would all contribute. 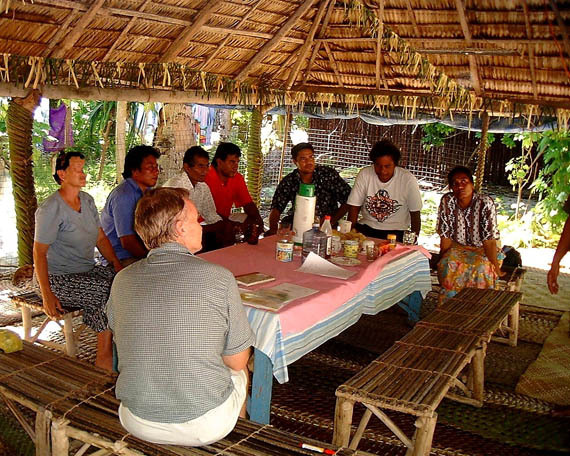 Interest from the trust fund would be available for community development projects as determined by the islanders themselves, through revamped island development committees. 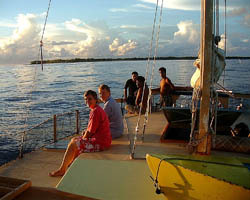 A visit to eight outer islands of the Gilbert Group. 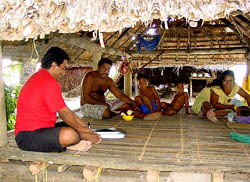 49 village and public meetings, including a meeting with MP’s, to explain the concept to the island people and leaders. Draft legislation and trust deed. Recommendations for a program of technical assistance to establish a suitable trust fund and to build capacity and implement the Outer Island Development Program. Acceptance of the concept and program by the government and President. 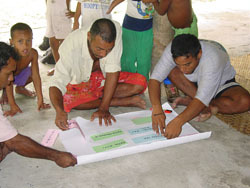 As Team Leader, Jock Struthers led the five month capacity building phase for the program during 2003. 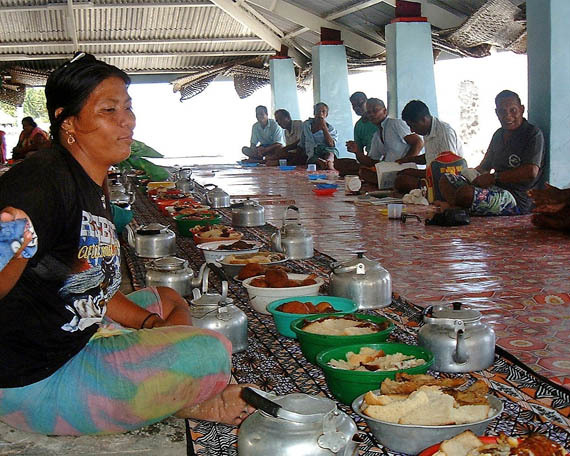 The ADB had approved a loan of US $10 million which was to be matched by US$ 10 million from the Kiribati Government’s Revenue Equalisation Reserve Fund (RERF) and an estimated $2 million contribution from the island communities. 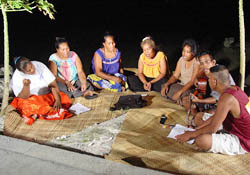 The prime task was to inform the island communities, to obtain their support for the program as signified by their agreement to raise meaningful community contributions and to prepare them for implementation. 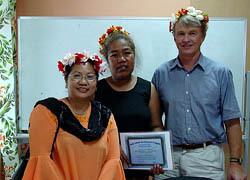 This was achieved by the recruitment and training of three task force teams of I-Kiribati people who visited every island of the Gilbert Group over a three month period, meeting with nearly every village, community groups and all island councils. 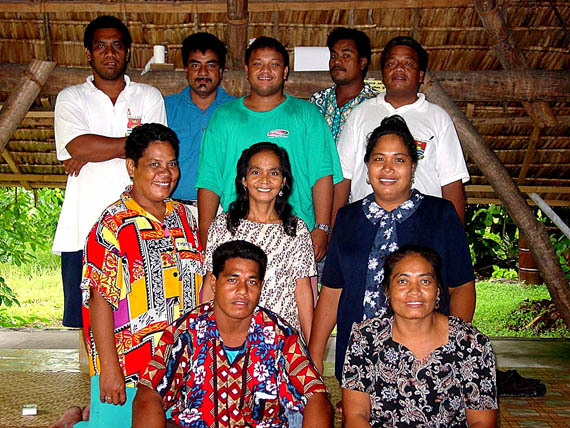 Recruitment and training of ten task force team members and the successful organisation and quality control program for their 3 month schedule of island visits. A base line data survey on time use and island facilities / services etc. Training programs for Island Project Officers, Island Treasurers and Island Clerks. Production and dissemination of an informative video. 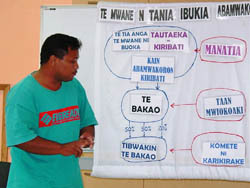 A PR campaign, including regular radio broadcasts, news releases and meetings with interested community groups in Tarawa, also church leaders, other donors, government ministries and the Development Bank. Rapid acceptance by 14 out of 15 islands who pledged ambitious contribution targets. 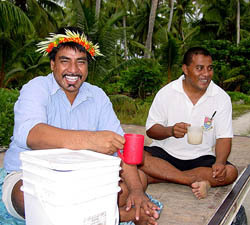 Commencement of a fund raising program in which the small island of Tamana with only 950 people managed to raise their target of $50,000 in three months. 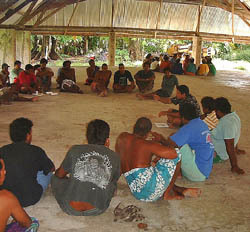 Acceptance of the program and draft legislation by the Tito government. The unexpected change to the Tong government during the latter stages of the TA caused cancellation of the program due to the new President’s decision not to proceed with the required legislation.